Kansas City Public Schools Superintendent Mark Bedell (left) and Mexican Counsel Alfonso Navarro-Bernachi cut the ribbon on the new Communications Plaza at East High School. 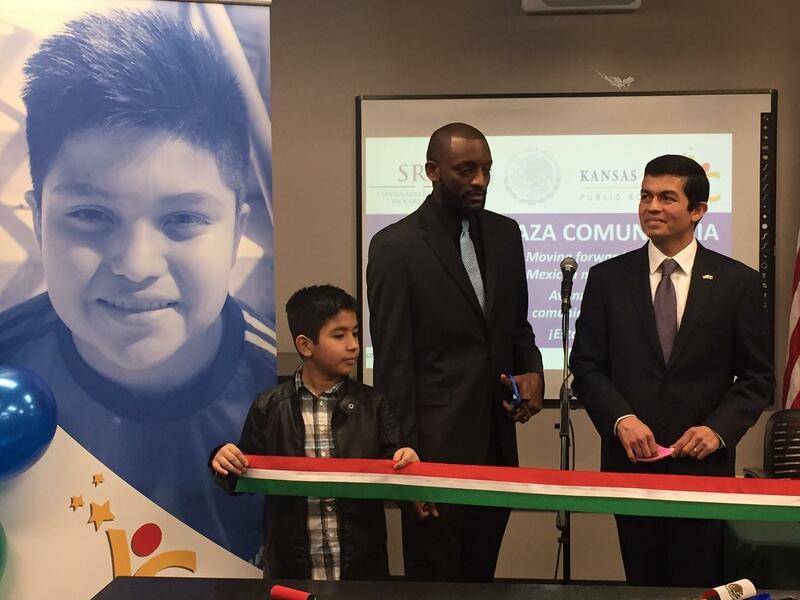 KCPS Superintendent Mark Bedell spent most of his time assuring Latino parents and students that the district doesn’t care about their legal status. "No matter their legal status we will welcome and nurture these students in our schoolhouses everyday." Students, he says, are faltering in class because they’re worried about ICE raids. “I’ve had students cry in front of me worried about that,” Bedell says. Mexican Counsel Alfonso Navarro-Bernachi says many Mexicans immigrants are worried about deportation and the best thing the consulate can do is provide information. “It's a growing concern in the community here. We are increasing our outreach and disseminating useful information to know what to do in case of immigration detention. But also to be prepared if they need to relocate to Mexico,” Navarro-Bernachi says. Bedell stresses that federal officials have not asked the district to help identify undocumented students or their families. The Communications Plaza at East High will provide both students and adults with educational opportunities. There are 300 such Plazas in 38 states run by the Mexican government. The first one opened in 2002. 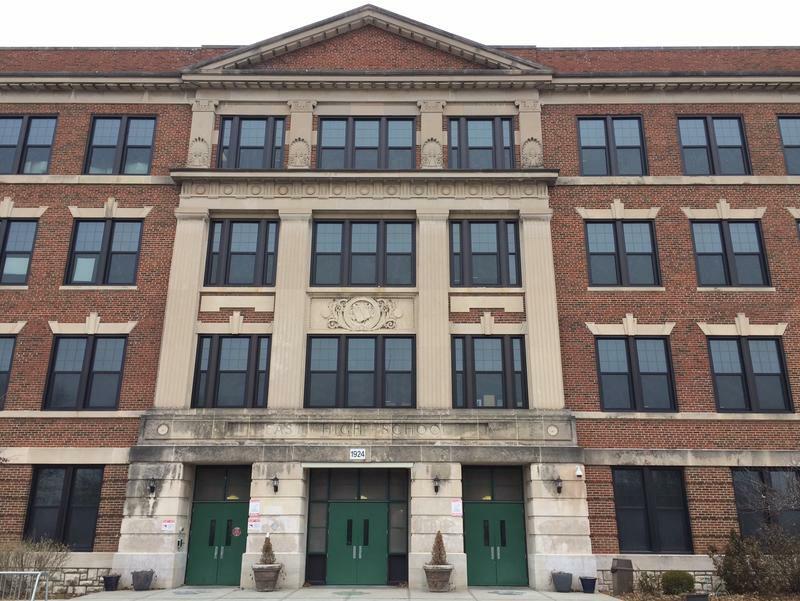 Bedell says classes will start at East on March 6 and he hopes to expand services and locations later. Sam Zeff covers education for KCUR and the Kansas News Service. Sam also hosts KCUR's political podcast Statehouse Blend Kansas. Follow him on Twitter @samzeff. 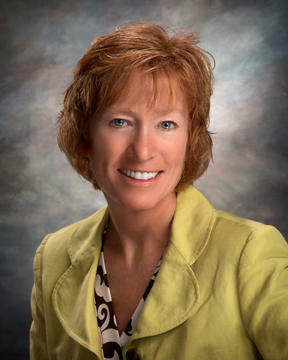 The St. Joseph School Board member at the center of a stipend scandal, which rocked the district and eventually led to a former superintendent going to federal prison, has resigned. "It was an agonizing decision to make," Chris Danford says. "I don't want to be a quitter, but it's better to split ways (with the district).